1. Chandra Bhushan Kumar, 1995 batch UT cadre IAS, has been appointed as deputy election commissioner (JS level) in the Election Commission of India for a tenure of five years in place of Sudhir Tripathi, 1985 batch Jharkhand cadre IAS. 2. 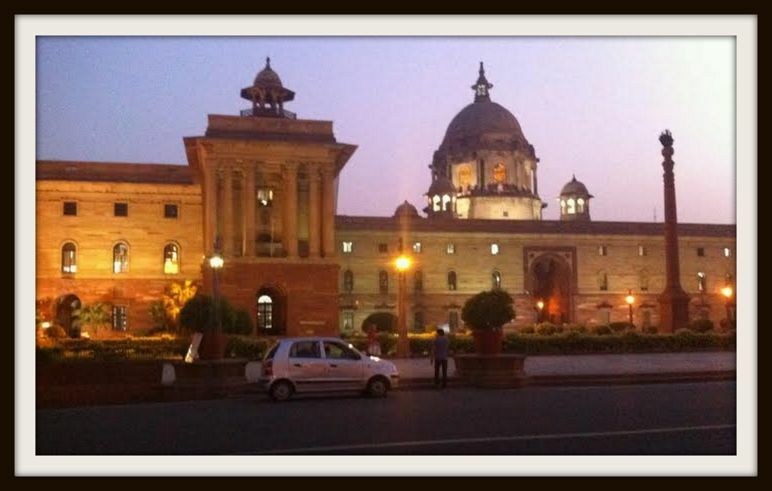 SK Shahi, a CSS officer, presently working as DOG in the department of telecommunications, has been appointed as joint secretary in the ministry of home affairs (MHA) in place of RK Mitra, also a CSS officer. 3. Krishna Bahadur Singh, 1995 batch UT cadre IFoS, has been appointed as joint secretary in the ministry of home affairs till June 21, 2020, in place of Pradeep Gupta, 1985 batch IOFS. 4. Anurag Agarwal, 1990 batch Punjab cadre IAS, presently working as joint secretary in the department of economic affairs (DEA), has been appointed as joint secretary in the ministry of corporate affairs, on lateral shift basis, in place of Amardeep S Bhatia, 1993 batch Nagaland cadre IAS. 5. Ritvik Ranjanam Pandey, 1998 batch Karnataka cadre IAS, has been appointed as joint secretary in the department of revenue in place of Uday Singh Kumawat, 1993 batch Bihar cadre IAS. 6. Vineet Joshi, 1992 batch Manipur cadre IAS, has been appointed as Director General (JS level), in National Testing Agency under the department of higher education. 7. Ravi Kota, 1993 batch Assam cadre IAS, has been appointed as joint secretary in the 15th Finance Commission under the department of economic affairs (DEA). 8. B Kishore, 1993 batch Andhra Pradesh cadre IAS, presently working as joint secretary in the department of animal husbandry, dairying and fisheries, has been appointed as joint secretary in the department of agriculture, cooperation and farmers welfare, on a lateral shift basis in place of Shakeel P Ahammed, 1995 batch Assam cadre IAS. 9. E Ramesh Kumar, 1999 batch MP IAS, has been appointed as joint secretary in the department of animal husbandry, dairying and fisheries in place of B Kishore, 1993 batch Andhra Pradesh IAS. 10. Samir Kumar, 1995 batch IES officer, has been appointed as the joint secretary in the ministry of drinking water and sanitation in place of Satya Brata Sahu, 1991 batch Odisha cadre lAS. 11. Nitishwar Kumar, 1996 batch UP cadre IAS, has been appointed as joint secretary in the ministry of water resources, river development and Ganga rejuvenation in place of Ariz Ahmmad, 1995 batch Assam cadre IAS. 12. Girish C Hosur, 1996 batch IFoS officer, has been appointed as joint secretary in the department of higher education in place of SS Sandhu, 1988 batch UD cadre IAS. 13. Mukul Ratra, a CSS officer, has been appointed as DOG (JS level) in the department of telecommunications in place of SK Shahi, CSS officer.